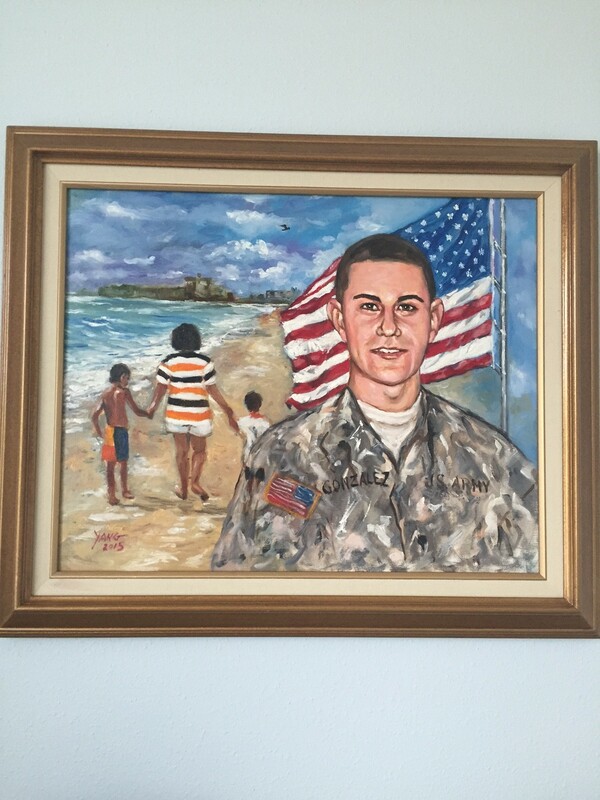 We received this beautiful painting from Matthew who is soldier who knew Spc Michael L Gonzalez. When I opened the gift the tears just started to flow. Not tears of sadness but of joy that someone else would see the boy before the soldier. I always loved to hold my boys' hands and held them as long as I could. Then one day they let go of your hand. All you can do is hope that you did your best as a parent. 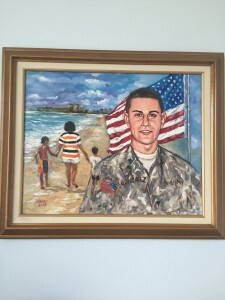 Thank you Matthew and artist Yang you gave our family a gift to treasure for the rest of our lives.